This was one of the most unique eating experience I had. Not that the food was unforgettable but the location was uniquely unexpected. 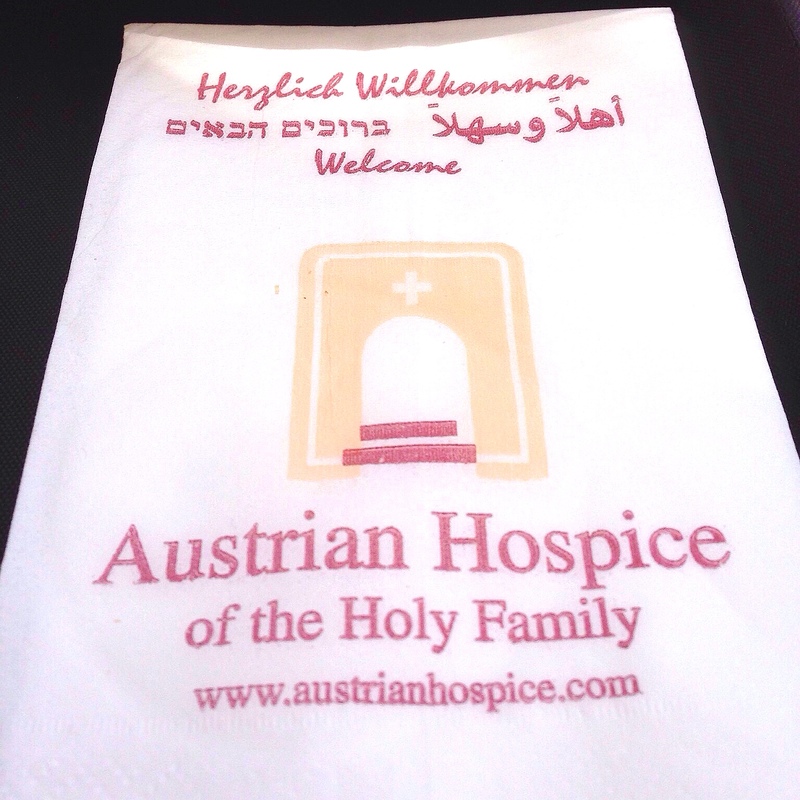 In the Muslim quarter of old Jerusalem sits the Austrian Hospice. This is a centuries old church and nunnery that housed the Sisters of Holy Family from Austria and is a functioning church and hotel at one location. During the recent wars, this was a hospital for both sides of the warring factions. In peace time, it served as an art gallery, a hotel and dorms for visiting clergy. The style is Australian, but do not expect the same gourmet standards of Vienna to be served here. Highly recommended if you happen to be in Jerusalem. Courtyard on the roof of the Hospice. 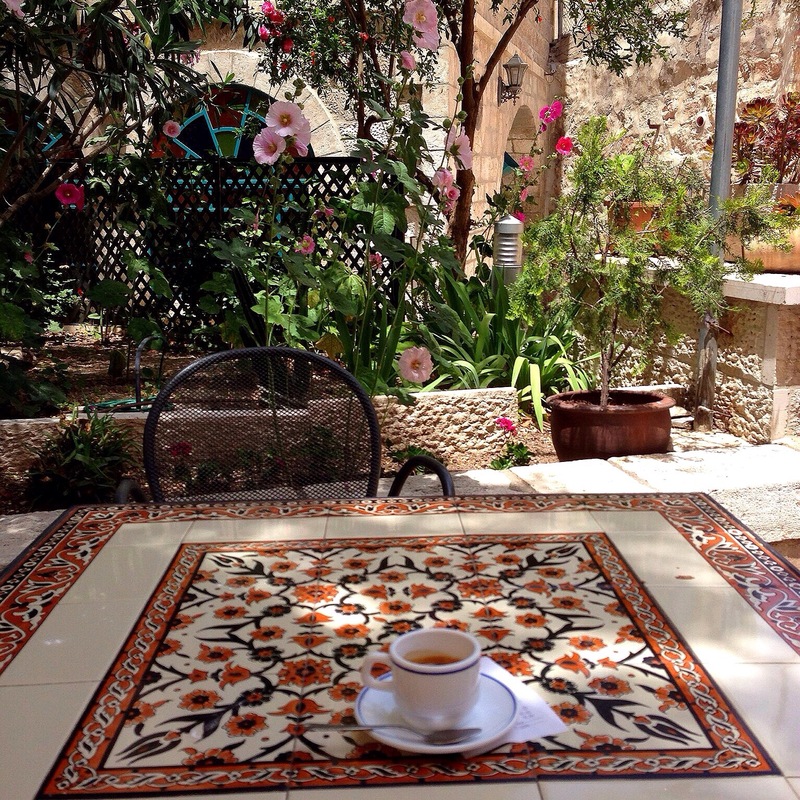 Look at the century old mosaic floor tiles that was not typical of the region. All brought in by the European powers during the hey days of the empires to decorate their turfs in the Holy City. It is a functioning place of worship and contemplation. So don’t come and behave like you own the place. Instead, quieten your soul, let you heart lead you in quiet meditation. But do avoid the prayer times if you do want to be disturb by the adjoining mosque. 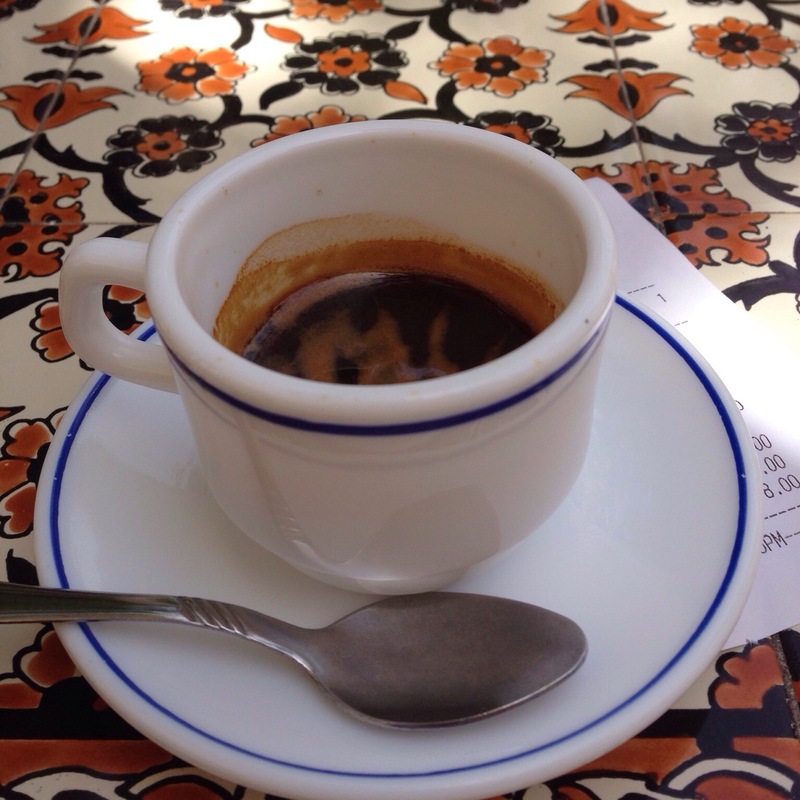 Good cup of Viennese coffee, very precious in Israel. 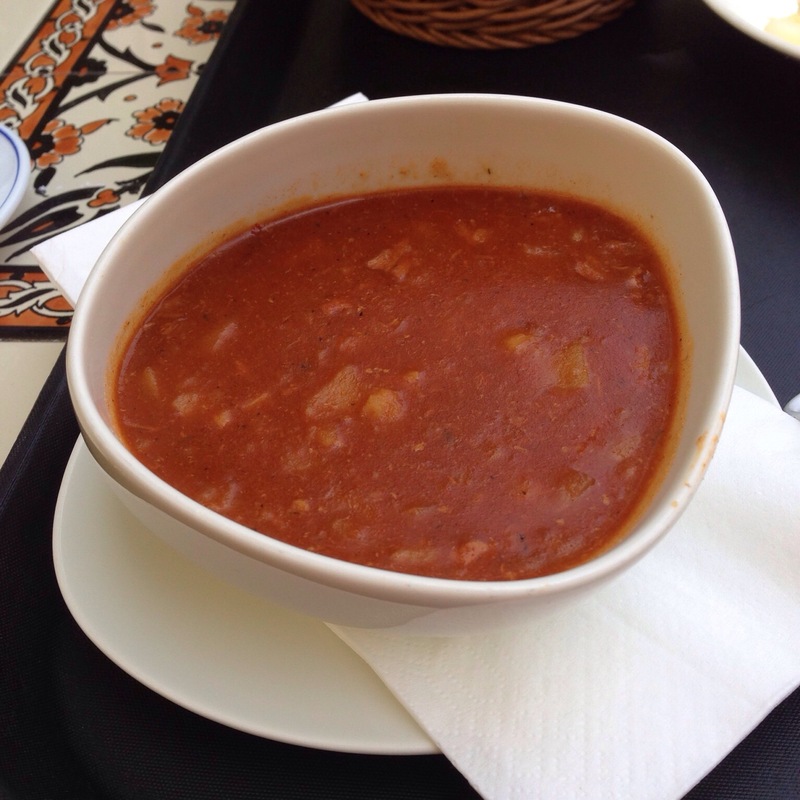 Hungarian goulash served with bread. Hearty little dish that would satisfy a small appetite and great during winter (hot soup). 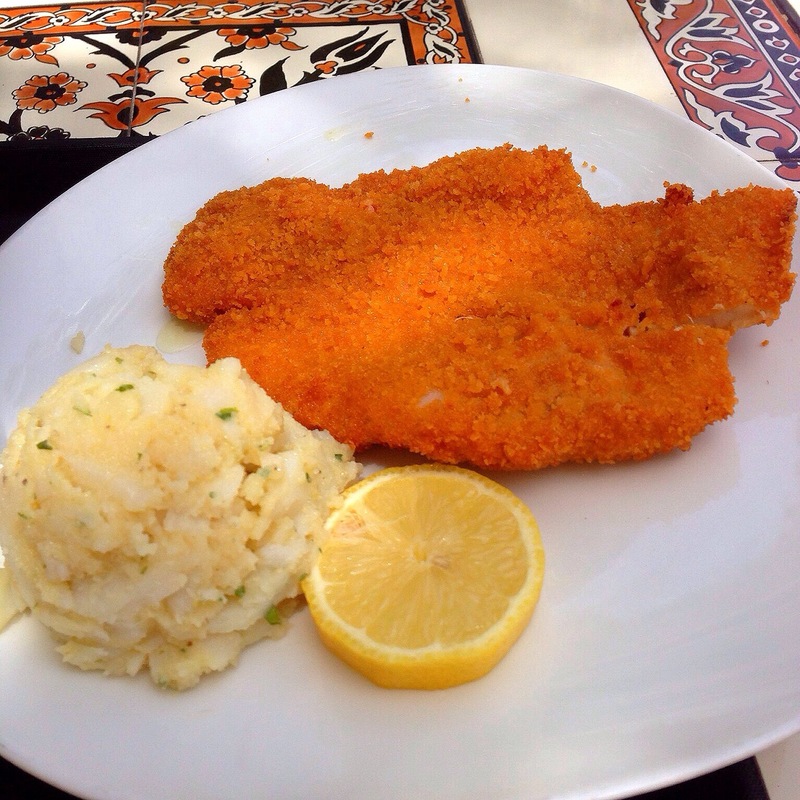 Wiener Schnitzel or Viennese pork chop. But since we are in the Muslim quarter, this is not served as Chicken cutlet instead. The potato salad side was typical Austrian, vinegar and spiced with dill. 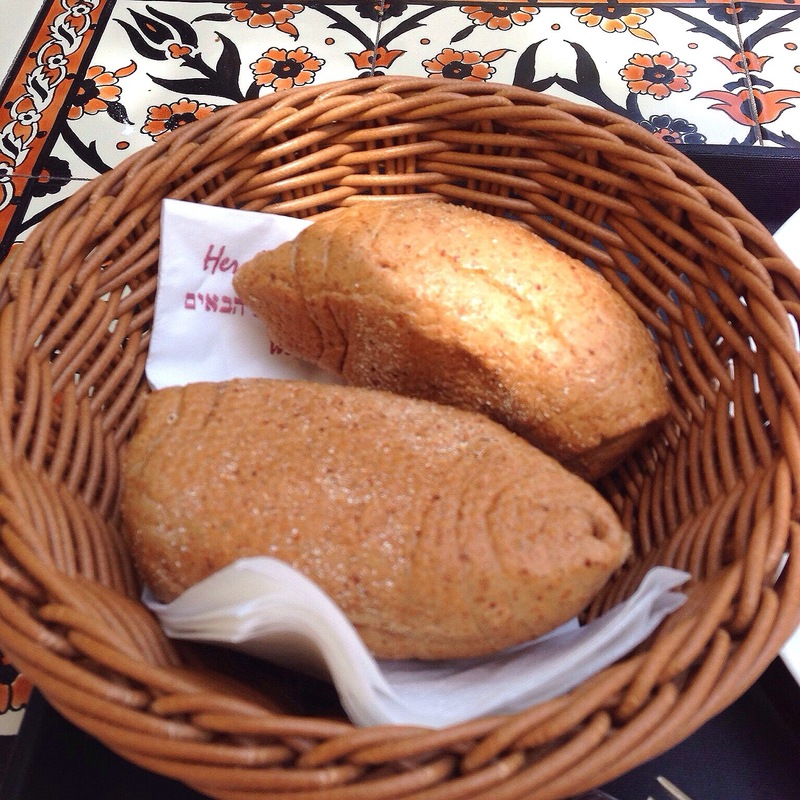 The bread was also typical Austrian, hard on the outside but soft and moist on the inside. Do drop by for a really unique experience. 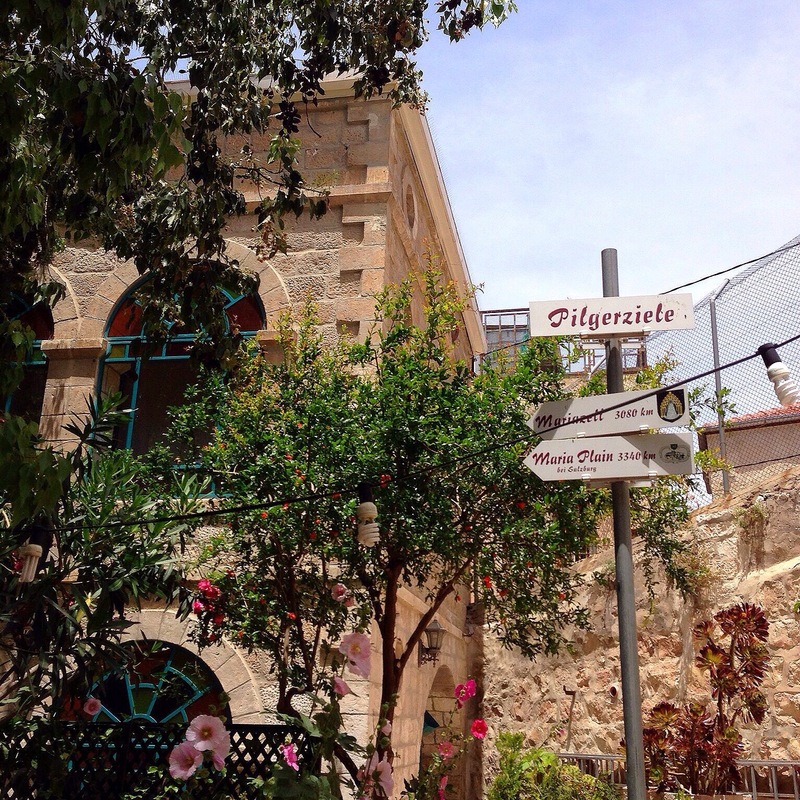 Just next to Station III on the Via Dolorosa (The Passion of Christ).